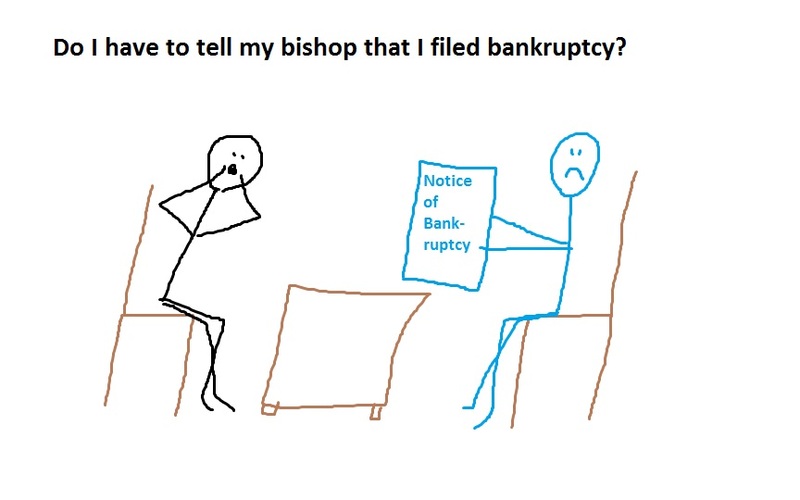 Do I have to tell my bishop that I filed bankruptcy? First off, I’m not your spiritual adviser. However, I would tell you that no, you do not need to confess your bankruptcy, because there’s nothing immoral or spiritually wrong with bankruptcy. That being said, it wouldn’t hurt to keep your bishop (or pastor, minister, llama, etc.) informed in case he can help. 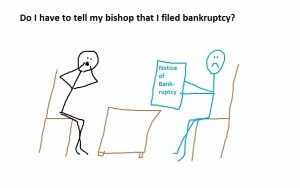 Bishops tend to be very helpful and sensitive, but bankruptcy is not a sin that you must confess. (in other words, all debts are forgiven every 7 years). This by no means demonstrates that bankruptcy is a wonderful thing that you want to shout from the rooftops, but it’s a safety valve, a release, that puts you back at zero. And after a $30,000 hospital bill or Dad being out of work for 6 months, zero is not that bad of a place to be. This is not legal advice. 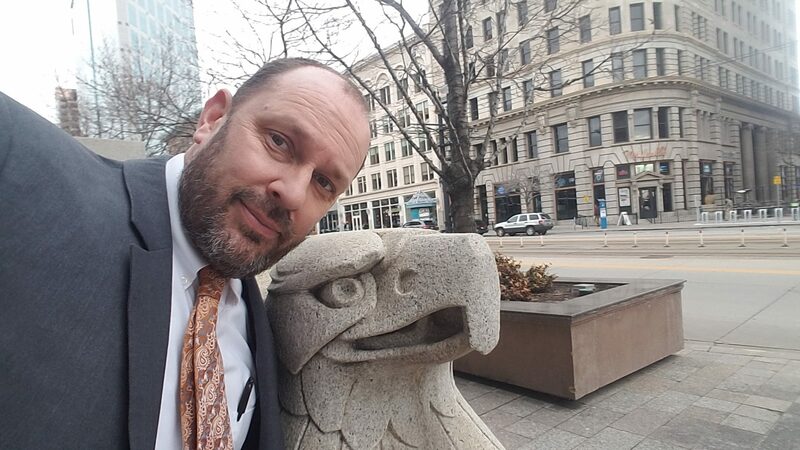 If you need help, call 801-980-1313 or go to http://www.robertspaynelaw.com/. This entry was posted in Utah Bankruptcy on December 30, 2013 by robertspaynelaw.